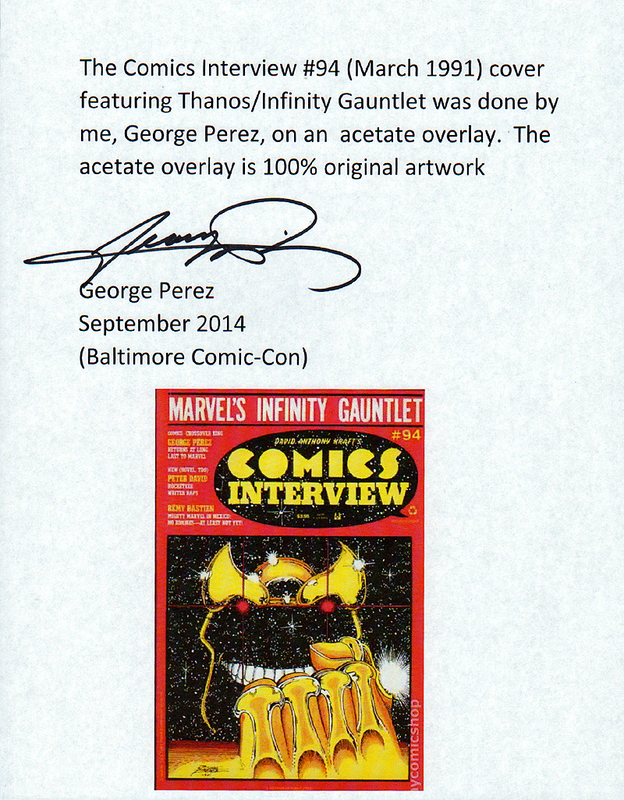 Click Here To See Comics Interview #94 Magazine and Signed Perez COA Which Is INCLUDED With The Sale Of Cover Art! 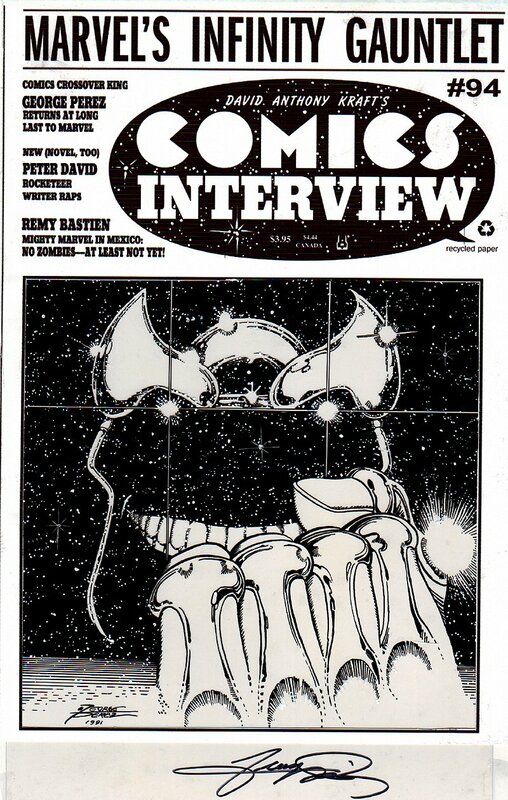 Check out this quite unique / HISTORIC George Perez Comics Interview #94 cover featuring a Thanos/Infinity Gauntlet Prelude Cover which came out 4 months BEFORE Infinity Gauntlet #1 The looming visage of the cosmic villain Thanos, who stars in the AVENGERS: INFINITY WAR film dominates this starscape. George Perez produced this original art by hand-inking his art on an acetate overlay with an image area of 8.5 by 8.5 inches and a total image size of 9.5 by 13.75 inches, including logo and border area. Perez signed below the drawn image area on acetate also. In addition, (In the red link above you can see) there is a Certificate Of Authenticity signed by Perez himself included with the sale of this art stating that he produced this art for this March 1991 cover, on an acetate overlay himself, and that it is 100% original art. ALL art on our website (including this one) are able to be purchased with VERY fair time payments, and trades are always considered towards "ANY" art on our website! Just send us an email to mikeburkey@aol.com and we can try to work something out.